Check for any spots or stains on your bed linen before washing. 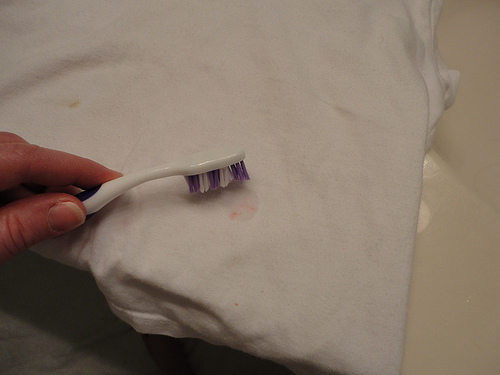 Pretreat with stain remover or use diluted dish soap and scrub with a small brush. If you miss one it's possible to remove the stain after the article has been laundered but there is no guarantee. Drying in the dryer most times sets the stain. 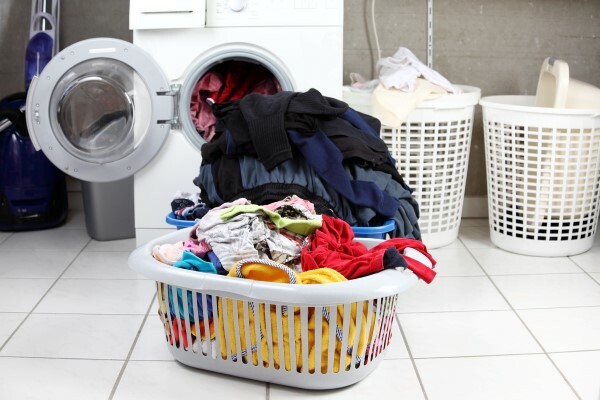 Avoid washing with other items with zippers or buttons or other rough attachments. They are abrasive and cause pilling, and will shorten the life of the bed linen. Cut back on the detergent recommended by the manufacturer. Typically, the amount suggested is for hard water, so if you have a softener, you should cut back 1/3 of what is recommended. Too much soap weakens the fabric and wears out the fibers, and you will notice holes and premature thinning occurring. Steer clear of fabric softeners. While a clean scent is refreshing and desirable, its use will actually coat the fibers and break them down. A premature thinning results here as well. When storing your bed linen, it's best not to store the natural fiber linen in plastic containers as that will cause yellowing. They are best stored where they can breathe.